I'm drawn to water. I've lived near an ocean most of my life. It's no surprise I enjoy photographing seascapes. But, like any landscape photographer knows, Mother Nature is fickle. Not every visit to the shoreline will yield good results. Here are four tools I use to plan for an ocean shoot to improve my chances for a keeper. 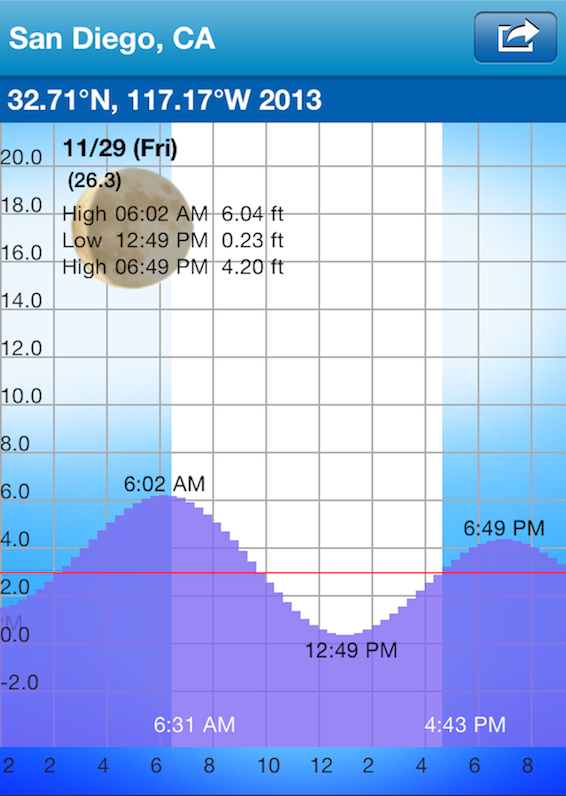 Tide Chart: This is a freebie iPhone app, one of several choices. What I like about Tide Chart is it includes sunrise & sunset times and the moon phase. Like landscapes, sunrise and sunset make for great seascapes. Knowing what the tide is like at sunrise and sunset will help shape your shooting choice. I look for interesting confluences of high & low tide with sunrise and sunset. Low tides are conducive for reflections - from pools of water or the damp beach itself. High tides are good for seeking out a place where waves will crash against a rocky shore a jetty. A sufficiently long exposure will result in silky water weaving through foreground subjects. Stuck On Earth: The fantastic app from Trey Ratcliff will help you find an interesting place to shoot. If you're unfamiliar with a place, zoom out a bit, find a good density of pins, then zoom in to browse the shots in that area. For me, La Jolla is a go-to spot for seascapes. But with a narrow window for sunrise or sunset, I use Stuck On Earth to hone in exactly where I want to go. It's available on a variety of mobile platforms and the Mac. The Photographer's Ephemeris: A brilliant application, but a lousy name. Pick a spot on earth, set a day, and TPE shows you where the sun and moon will rise and set. The light is best during the golden hour and knowing where it will rise or fall in relation to your chosen photo spot means less scrambling once on site. TPE is available on a variety of platforms. 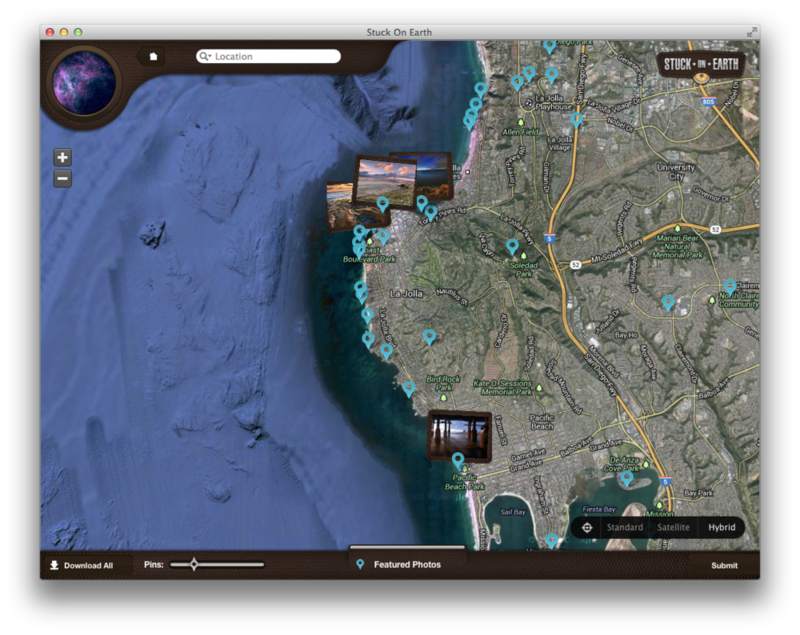 Google/Apple Maps: Mapping technologies keep getting better. 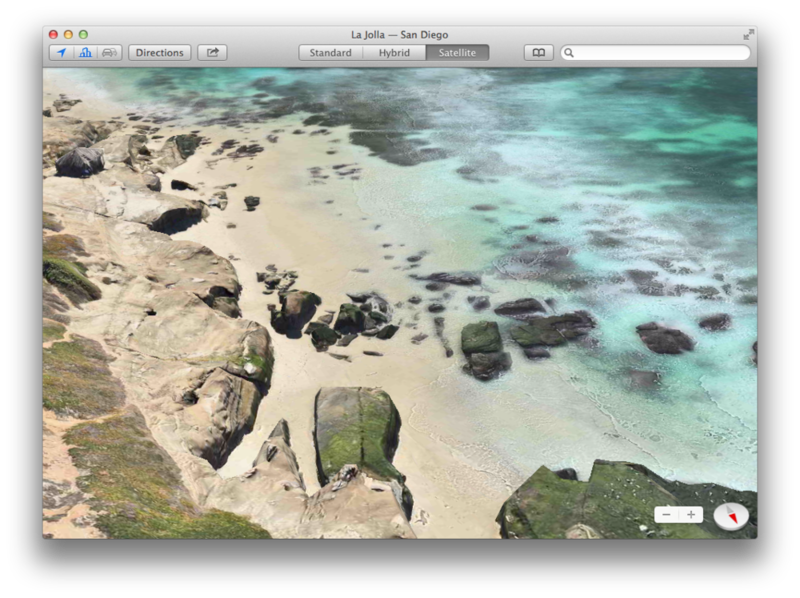 Whether you like Google or Apple, exploit the 3D flyover and rotation capabilities. Right from your desktop you can get an incredible perspective on a scene. The more you do before you are on location, the more you can concentrate on light, angles, and final framing. You may be asking yourself ... no weather forecast? In my experience, the weather forecast is at best 60% accurate. When I went to school, 60% correct was a failing grade. I don't let the forecast determine whether or not I'll go out for a shoot. Short of it pouring buckets, I just go. Sometimes the weather cooperates, sometimes it doesn't. On my last outing, the forecast was rain and it was indeed misting and very gloomy when I headed to the beach. But, for the 30 minutes prior to sunrise, conditions couldn't have been better and I came away with one of my favorite photos this year. The next time you're planning a seascape, check these tools out first. Planning really helps. You can never be guaranteed a keeper for any shoot, but tip the scales in your favor.